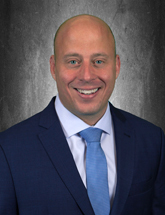 Daniel R. Brown | Brown Commercial Group, Inc.
Dan Brown founded Brown Commercial Group, Inc. in 2004 after spending eight years at a privately held real estate firm, learning the ins and outs of the suburban market. With an intense focus and a strong drive to succeed, he started the company and quickly expanded it to cover the real estate needs of landlords, investors, and tenants. He focuses on helping businesses evaluate their real estate needs, identify their space requirements, assess building logistics and amenities, and secure financing sources. He concentrates on representing tenants and landlords in the suburbs with industrial and office space needs of 100,000 square feet or less. Dan has negotiated more than 1,200 deals during his career.